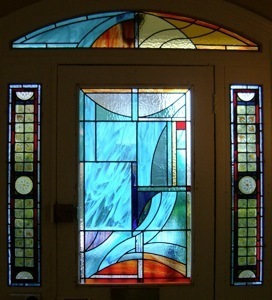 New stained glass can be designed and built by us according to your taste and requirements. A visit to the site of the intended work will allow us to measure up and provide a price quotation and lead time for the project. You will also be given the opportunity to look at our portfolio of past work and discuss ideas/ themes for the new work. If you accept the quotation we will then produce a full size pattern/ artwork to show you along with glass samples for you to choose from. 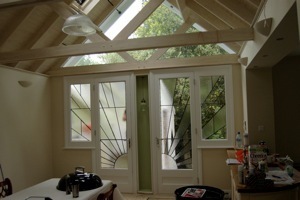 When the design is finalised the panels are built and fitted on site to the highest standards.